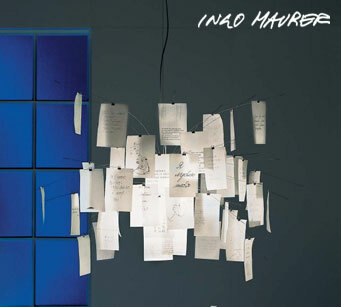 Ingo Maurer the renowned lamp designer devotes himself to the use of light with enthusiasm and commitment and has created more then 120 lamps and a wide variety of lighting systems illuminating many public buildings and private homes. In the year 1965, he designed his first lamp and attends the first trade fair. In 1966 he set up the design M company in Munich, where he designed “Bulb”, which was purchased four years later by the museum of Modern art in New York. In 1997, a magazine named “Architekur und Wohnen” named him the Designer of the year and in 1999 he opened a showroom in New York and also received the Design Prize award by the city of Munich. His spectacular projects include the installation for a fashion show by Issey Miyake in Paris. This genius person is not only a creator but also a developer and an artist. He is the one who explore the creative potential of new technologies and even develop technical components.